Home of over 40 years of experience in the auto body industry, Wright County Collision is proud to help you with all of your auto body repair, customization and restoration needs. Our technicians are experts in their craft and are I-CAR and ASA certified. We use only top quality parts (OEM when possible) and materials to ensure your vehicle meets or exceeds your expectations. We take pride in providing high quality work and top notch customer service at an affordable price. We’ll also work with the insurance company to save you time and frustration. And to insure your investment, we have a Lifetime Warranty on all of our work as long as you own your vehicle. Stop by today for a free estimate. No project is too big or too small! Thank you to Neil Bateman and all at Wright County Collision for putting our beautiful street rod pickup back to original, no, better than original, after our accident. Our pickup was struck from behind while we were stopped. The insurance company gave us a low settlement check. I didn’t know how I was going to get it fixed. I turned the check over to Neil and he did the rest of the negotiations with the insurance adjuster to get funding enough to complete the repairs and get our pickup back on the road. The body-men took special care to make sure all the work was done the right way, the Wright County Collision way!!! 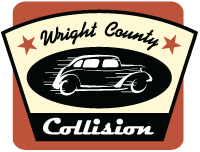 I strongly recommend Wright County Collision to handle all your body work needs. For all the vehicles I have brought to them, they’ve done excellent work and have been totally satisfied. They are very upfront about what needs to be done to your damaged vehicle with no surprise charges or fees. When I purchased a classic truck, I brought it to Neil Bateman (the owner) knowing classic vehicles are his specialty to do some touch up paint work and have him check everything out. He discovered that the truck had a bad frame and deemed it unsafe to drive. To make a long story short, I went after the dealer that I bought the truck from to buy the vehicle back. Neil did a great job on taking pictures and doing a thorough write up for all the troubled areas so I could present it to a consumer rights attorney to recoup all my expenses. 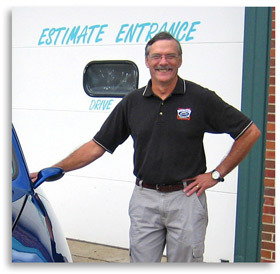 We have known and used Neil and Wright County Collision since Neil has owned it Even prior to that Neil did work on all our vehicles as we needed things done They do an outstanding job–no matter how large or small, they do amazing work !! We still bring vehicles to them even though we live 400 miles away !! 10 out of 10 !! Extremely satisfied are the words I would use to describe the work that was performed by Wright County Collision. 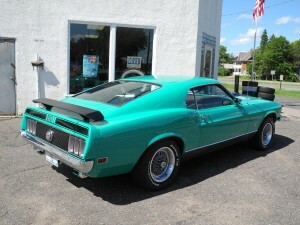 Neil and his team worked a miracle when they restored my 1970 Mach 1. The car needed major work. My car began its life as an export to Germany. Then it spent the rest of its life in Michigan. Coming from a country where there is no speed limit and from a state where they use plenty of road salt the car was in rough shape when I started the project. When most would have said “send the car to the crusher”, Neil saw the potential and the rarity of the car and said “let’s do it”. Those were the words I wanted to hear. Being a well optioned Mach 1 and a rare German export to me the car was definitely worth saving. Knowing what the value of a finished car with this pedigree would be is what drove me to choose a shop that produced high quality work. I checked other shops and saw their finished work. However, when I saw the finished products of Wright County Collision my mind was made up. I could not have been happier the day I got my car back from Wright County Collision. The body repairs are seamless and the paint is flawless. I have entered my car in 4 shows and have taken a trophy at each event. The most meaningful trophy was taken at the All Ford Show at Apple Valley Ford where the car took first place in its class. That is quite an honor since the car is being judged by all the Ford “experts”. I always get compliments when I take the car out and people asking me “who did the body work”. Another great thing about doing business with Wright County Collision is by the time they are finished with your project you have a new friend and how do you put a value on that. Just one day after I had insured my new (used) Porsche Boxster, I backed it into my girlfriend’s minivan, smashing the right rear end of the car. Brought it to Wright County Collision and they did a perfect job fixing it and a masterful PDR once over on the car as well. I hope I don’t have to see them again anytime soon, but will confidently take my vehicles there for any future collision needs. I had some damage to my truck and decided to bring it to Wright County Collision. Neil and his staff did a great job, the repair was done professionally, courteously, and on-time. They asked questions along the way and did a professional job at a reasonable price. Thanks Neil and Team! Wright County Collision should be your first choice; I trust Neil and his professional staff, and they deliver every time without disappointment. As a former body shop owner and custom painter I am a tough customer. I know the difference between quality workmanship and the normal get it done (production shop) mentality. As a customer for years I have never been disappointed with the quality, service or process of any job. You will receive personal service (with owner involvement), a staff with up to date knowledge on new vehicle repairs, and the seasoned experience of restoration experts and custom painting.